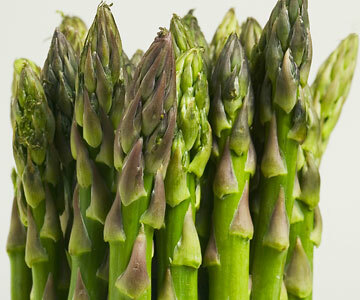 Were you able to buy our fresh, locally grown asparagus last Saturday? If you were not, Janean Bowen, Treasurer for the Atchison Farmers’ Market, will be at the Market again this Saturday, April 22, from 8 a.m. until sold out. Come early to get your Springtime treat! Note: Cash only sales until official market opening day on May 20. No credit, debit, or SNAP sales until then as the card reader will not be available until then. Place the asparagus into a mixing bowl, and drizzle with the olive oil. Toss to coat the spears, then sprinkle with Parmesan cheese, garlic, salt, and pepper. Arrange the asparagus onto a baking sheet in a single layer. Bake in the preheated oven until just tender, 12 to 15 minutes depending on thickness. McLenon Farm will be selling asparagus at the Overland Park Farmers’ Market this year, BUT they didn’t want to abandon all their Atchison customers. Janean Bowen, Treasurer for the Atchison Farmers’ Market, will sell asparagus for them. She will be at our market location this Saturday, May 15, beginning at 8 a.m. until sold out. Come early to get your Springtime treat! “My aunt used to bake it. She would layer asparagus in baking dish top with bacon and bake it at 350 for about 20-30 min depends on the amount of asparagus.” From Carol G.
“I love to melt 1-2 tablespoons of butter add 1 T balsamic vinegar and pour over cooked asparagus.” From: Linda C.
Does Asparagus mean Springtime to you? We have heard from our asparagus vendor that the crop should be starting soon. We will keep you posted on when it will be at the Atchison Farmers’ Market. We will send you some new ways to fix asparagus when we send the date. Let us know if you have some inventive uses. We love to share.